The red variety (also GM 6494-5) is a new breed between Zarya Severa x St. Laurent, Synonyms are Ambros Rot, Geisenheim 6494-5 and GM 6494-5. 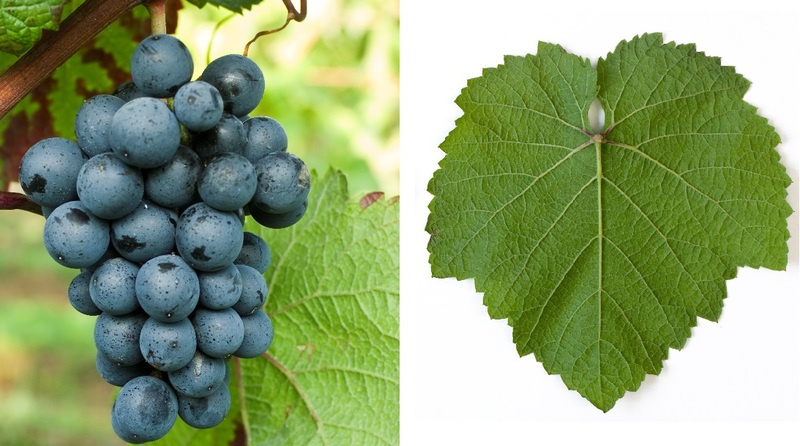 They are genes of Vitis amurensis and Vitis vinifera contain. Although it is clearly from a botanical point of view hybrid but it is not considered as such. These are strictly prohibited within the EU for quality wines and land wines. On behalf of the European Commission, a study was carried out in 2003 to establish criteria for the assessment of "hybrids or non-hybrids". The variety was performed alongside some others in Germany new varieties with Amurensis genes classified as "non-hybrid" (see under hybrids ). The very early ripening vine has a high resistance to wintry frost and wrong mildew, but is prone to powdery mildew. It produces deep dark, ruby red wines with the raspberry and cherry aromas similar to Merlot, which are also excellent teinturier (Color enhancers) are suitable. The vine occupies in Germany mostly in the growing area Rheinhessen ten hectares of vineyards. Other stocks are also available in England (40 ha) and Romania (1 ha). In 2010, a total of 50 hectares of vineyards were reported. This page was last modified at 31 December 2018 at 08:06.